Here at The Hello Foundation, we are very thankful for the wonderful School Administrators we work with. We appreciate all that you do to put kids first on a daily basis. We understand how stressful your jobs can be and truly value all that you do to make a difference! We are also thankful to those who took the time out of their very busy days to fill our annual School Admin Survey that was sent out before the winter break. A whopping 90% of our Admins who responded to the survey said they would share their experience and be a reference for Hello. This means the world to us! Your feedback is extremely important to us as we strive to provide the best possible service to your students and staff. Listed below are some highlights of our recent survey. Our Hello There model balances 3 weeks of off-site teletherapy with 1 week of on-site services each month. 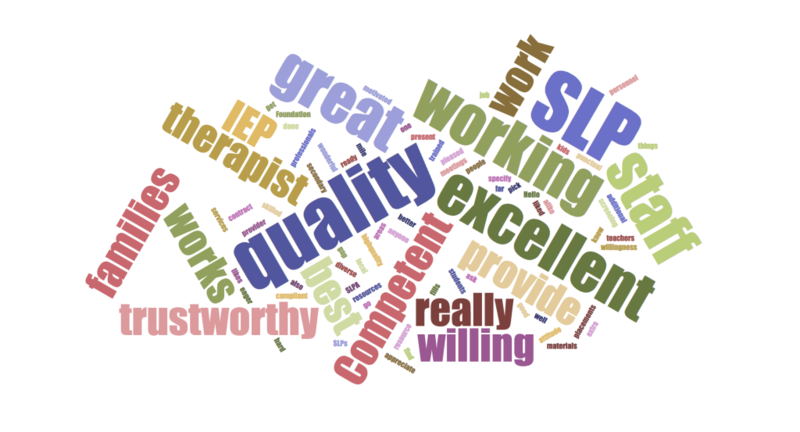 When rating our teletherapy services, 92% of respondents rated us as good or excellent. 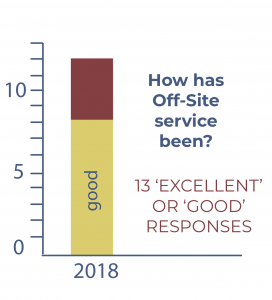 When it comes to the services we provide while we’re on-site, 88% of our respondents said our people are excellent (the other 22% rated us as “good”). 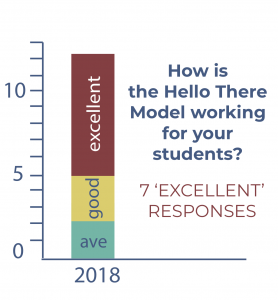 We’re always curious to know how the model is working for the district staff and welcome any feedback about how we could do better. 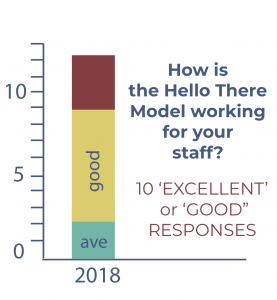 On this year’s survey, 85% said that the model is working good or excellent for their staff. This is the most important question of all: how does our mode work for the students in your district? If it’s not working for kids, then it’s not working at all. 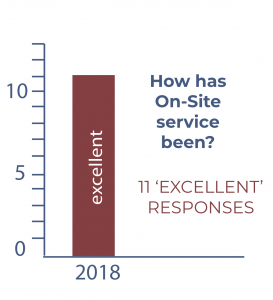 We were once again very pleased to see that our people are serving their students well, with 83% of admin surveyed saying our services are good or excellent for their students. And here are some of our favorite comments from the administrators. We’re humbled and flattered by their words! Thanks again for taking the time to provide us with your feedback. We look forward to successful second half of the school year!